It is a promising year with extraordinary machines seeping into the market. Manufacturers are trying it big to woo customers through their best possible designs and features. Most of their focus is on inventing new features rather than eliminating features consumers may not want. As the end result of giving importance to customer needs, we have many attractive models and features jostling their way into the consumer world. One best example that forms evidence of paying attention to consumer needs is the customer feedback collected by HP on the basis of which we could get HP Spectre x360 13-inch. This product boasts of a long life battery, a better speaker and an affordable price. You have a good choice of availing the benefits of the merging trends with Laptop Rental and not through purchasing alone. Intel’s Kabylake processor has witnessed a slight enhancement in its performing capacity when compared to 2016’s Skylake model but still it can be a good option if you are switching from Intel’s 7th generation chipset. What it can bestow on you is its capacity of performing better, enhanced capabilities of graphics and longer battery life. You can keep yourself going for hours without having to look for any recharge outlet. Manufacturers are also on the verge of leading their stuff by making them slimmer. Apple cut down the thickness of the MacBook Pro last year, along with sculpting a more compact model with the elimination of bulky bezels in its systems. HP specter 360 and Lenovo Yoga 920 are super fine with their bezel-free displays. The trend is spreading to business laptops too. Thunderbolt has much to speak of its power in transferring data with a great speed up to 40 Gbps. 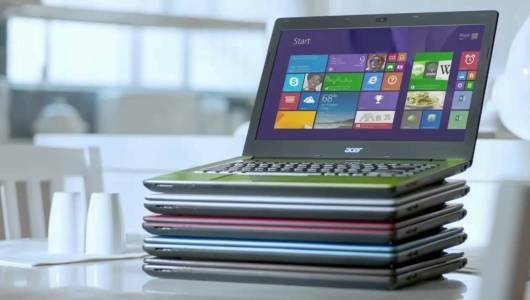 It promises more bandwidth and stands as a support to deliver power to laptops. So you can say USB type-C is no more in the game now. Thunderbolt can boost up docking stations when connected to your mobile device making your PC work like a desktop letting access for ports and peripherals. We at VRS Technologies supply rental laptops of all brands, models to suit your requirements at affordable prices. We do not run out of stock at all since our stocks are unlimited. Wherever you may be located, we offer timely supply to your doorstep. Ultimately, customer satisfaction is our motto to success.